Discover Books set near You! 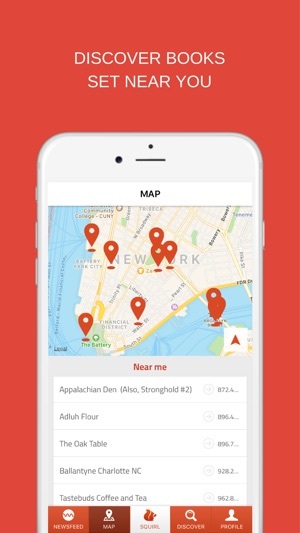 Discover books set near you with the Squirl app! The places you pass by become portals into literary worlds. Your favorite restaurant might be the setting for a romantic rendezvous in a bestselling novel. The street corner outside your apartment - the perfect crime scene in a dark indie thriller. Squirl puts you right in the action. 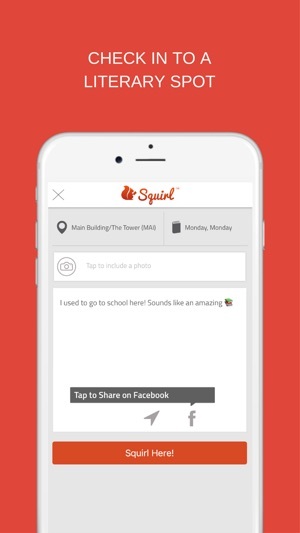 Authors, add your book’s settings to the Squirl app. Click the “Squirl Web Site” link below to access our free Author Tool. 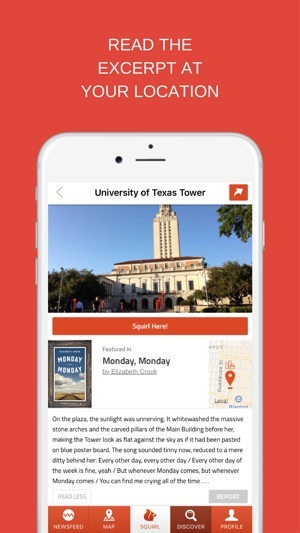 If you like books, this is a great app to travel with. Even discovered some locations around my new neighborhood. It's such a great idea. Just having a hard time figuring out how to use it. Can't see how to add my book. Did a search of very popular authors...no results. Just kind of underwhelmed and confused. I have a college degree and feel like it shouldn't be this hard😳. This is the coolest concept for an app.